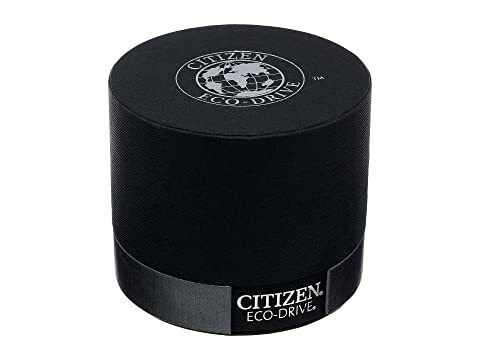 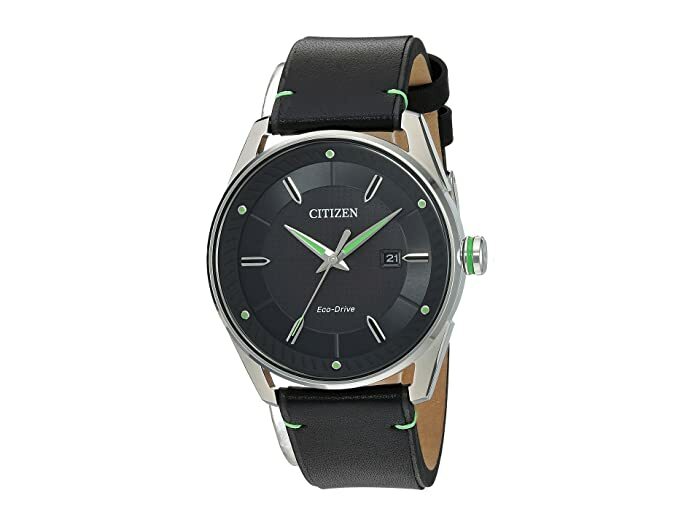 Empower your look and style with this bold watch from Citizen®! 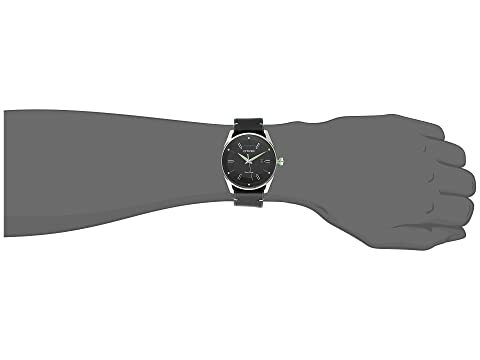 Leather and suede strap with adjustable buckle closure. Textured black dial feature silver and green-tone hands and hour markers, date display window, minute track, and Citizen detailing.